Fructus Amomi Kravanh is produced in southeastern countries in Asia. It is collected in autumn, and dried in sunlight. Usually, the crushed fruit and seeds are prepared for use before a decoction is made. Meridians: Lung, spleen and stomach. Functions: 1. To promote qi circulation and transform dampness;2. To warm the spleen and stomach and stop vomiting. 1. Dampness blocking spleen and stomach or qi stagnation in the spleen manifested as distension, fullness and no appetite. Round cardamom seed (Baidoukou) is used with Magnolia bark (Houpo), Atractylodes rhizome (Cangzhu) and Tangerine peel (Chenpi). 2. Early stage of damp-heat febrile diseases manifested as stifling sensation in the chest, absence of hunger and sticky tongue coating. Round cardamom seed (Baidoukou) is used with Talc (Huashi), Coix seed (Yiyiren) and Amomum fruit (Sharen) in the formula Sanren Tang. For cases of excess heat, Round cardamom seed (Baidoukou) is used with Scutellaria root (Huangqin), Coptis root (Huanglian) and Talc (Huashi) in the formula Huangqin Huashi Tang. 4. Infantile vomiting due to cold in the stomach. Round cardamom seed (Baidoukou) is used with Amomum fruit (Sharen) and Licorice root (Gancao). 3. Vomiting due to cold in the stomach. 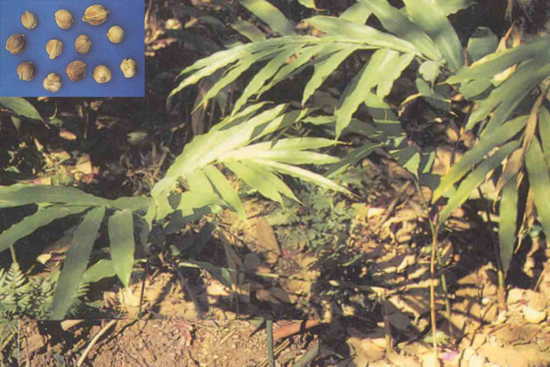 Round cardamom seed (Baidoukou) is used with Agastache (Huoxiang) and Pinellia tuber (Banxia). Dosage: 3-6 g, decocted in water for internal use. Decocted after other herbs.